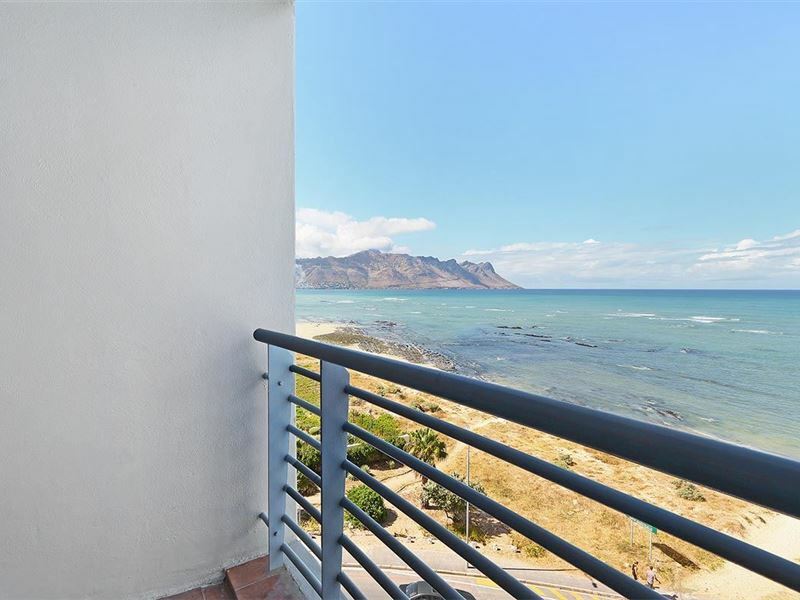 Ocean Breeze is a wonderful seaside resort town that lies at the foot of the Hottentots Holland Mountains. 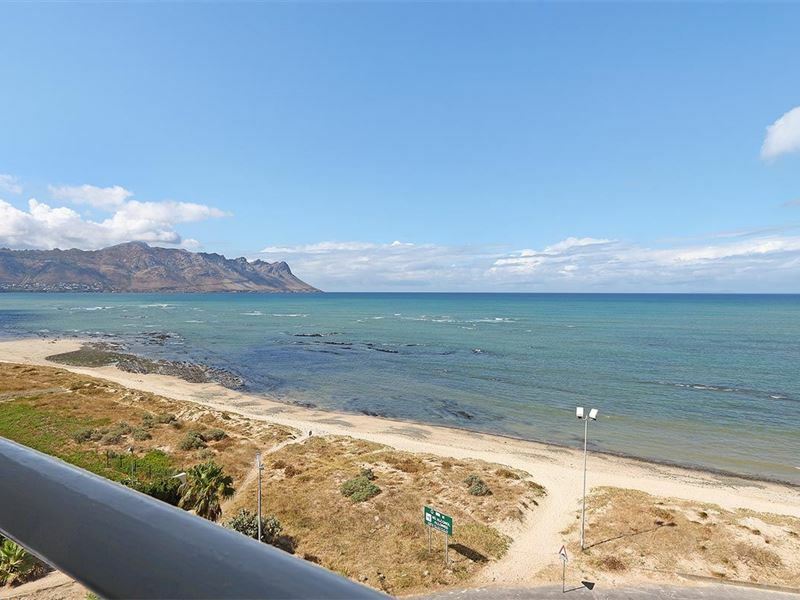 This stunning beachfront suburb is renowned for its welcoming family beach, unique and engaging attractions and unmistakable vacation atmosphere, with something to offer visitors of all ages, during any season. 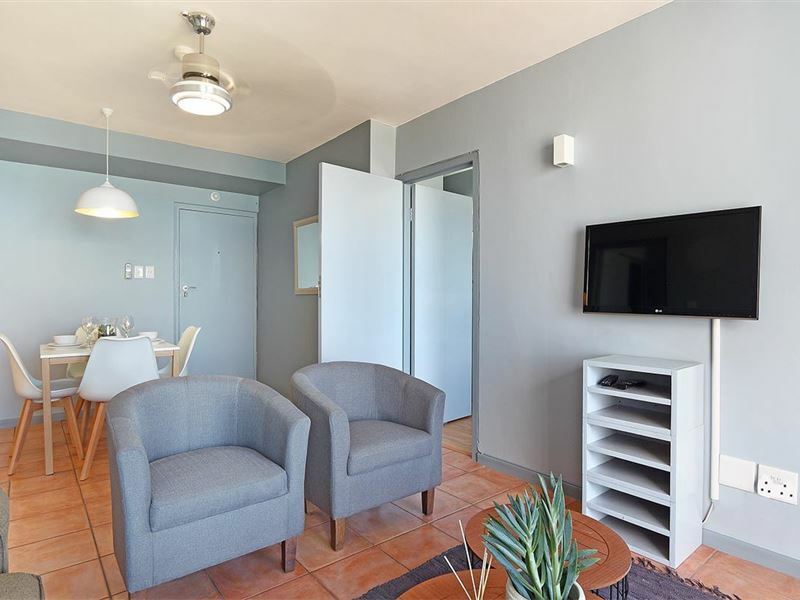 This one bedroom apartment is located in Strand’s Ocean Breeze Hotel building, providing visitors with an opportunity to enjoy authentic self-catering accommodation as well as the communal Ocean Breeze hotel facilities. 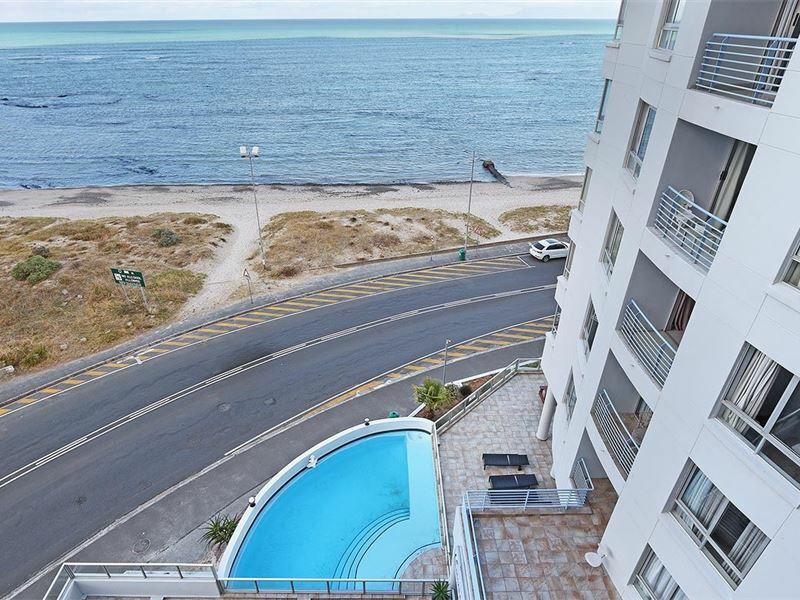 Guests can enjoy accommodation right along the beachfront, where all the fun and excitement takes place. 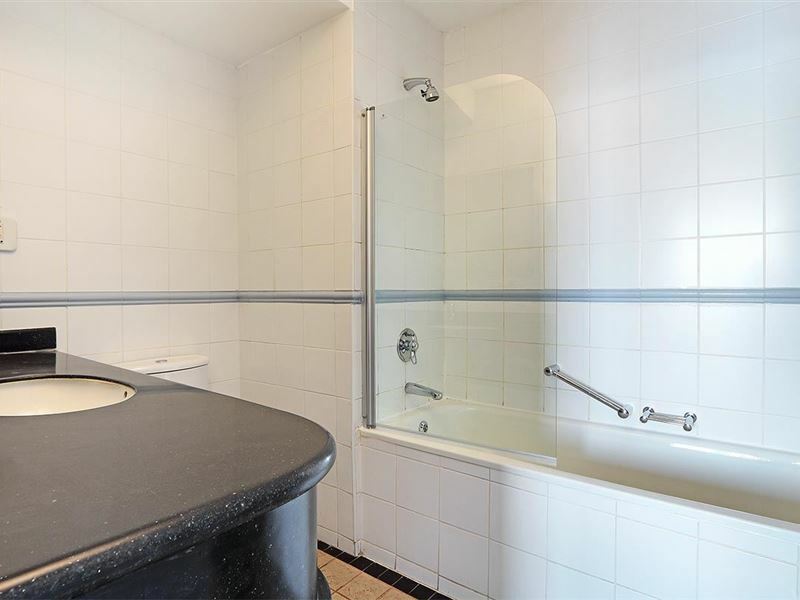 This bedroom is modern and beautifully decorated and it includes an en-suite bathroom. 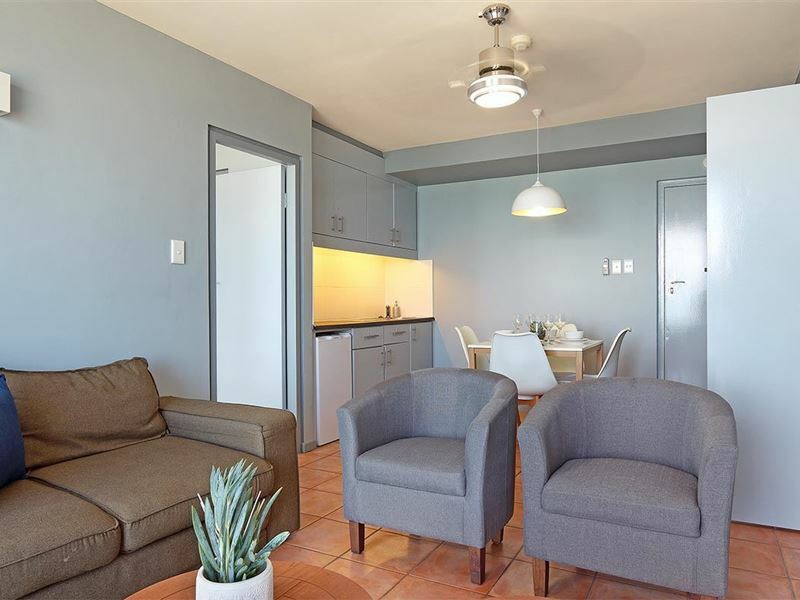 The compact kitchenette is equipped with a small fridge and a few basic appliances, while a dining table for four is ideal for enjoying meals together. 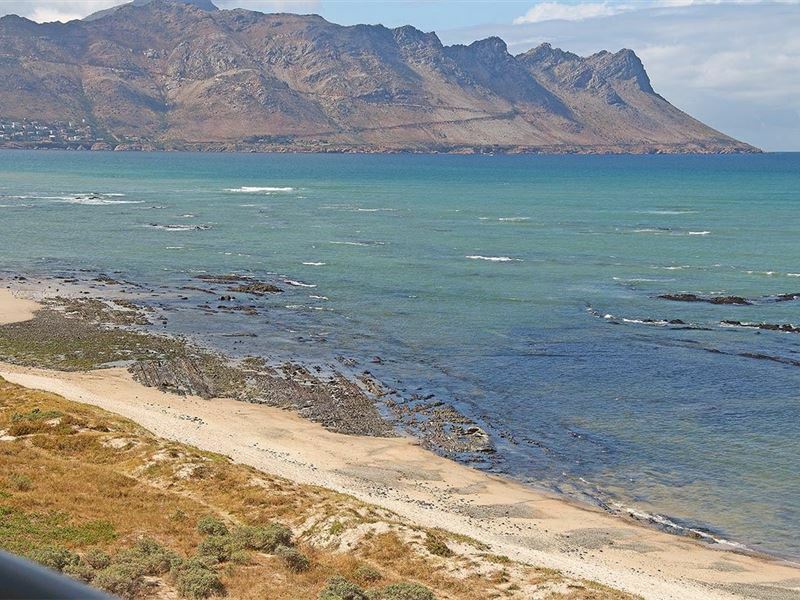 The seaside suburb of Strand is located less than an hour’s drive from Cape Town’s city centre, allowing travellers to discover more of the Cape during their stay. 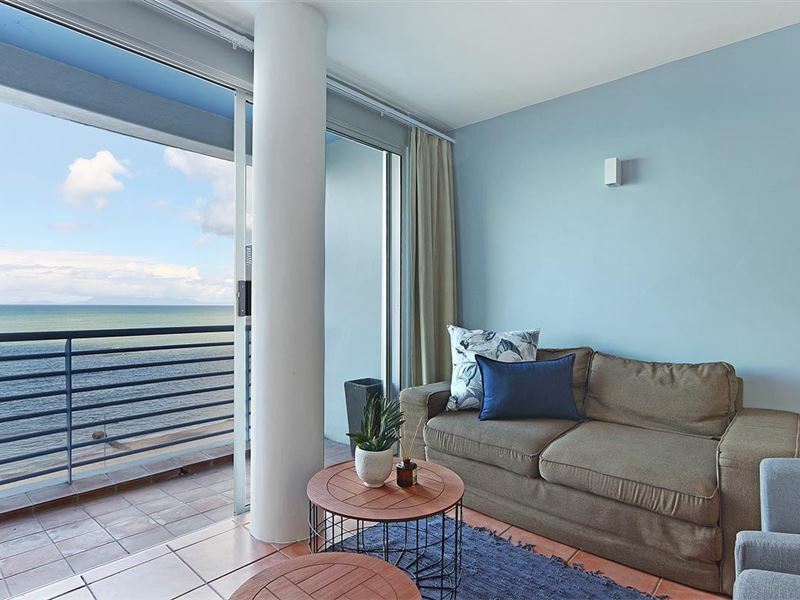 This suburb boasts a vibrant beachfront promenade that is lined with old and new apartment blocks, hotels and attractions, as well as putt putt, a waterslide and public pools. 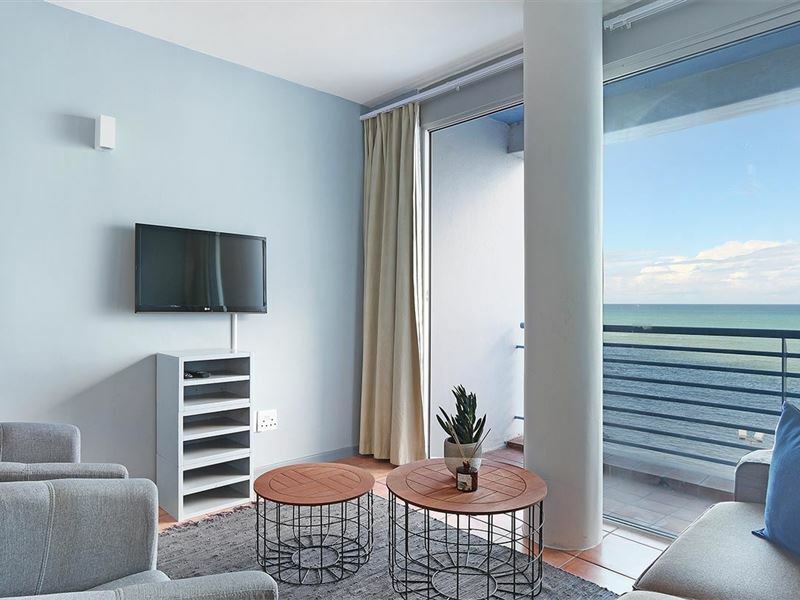 Request a quote from Ocean Breeze 508 at no obligation.